It's springtime, and here that means thunderstorms! 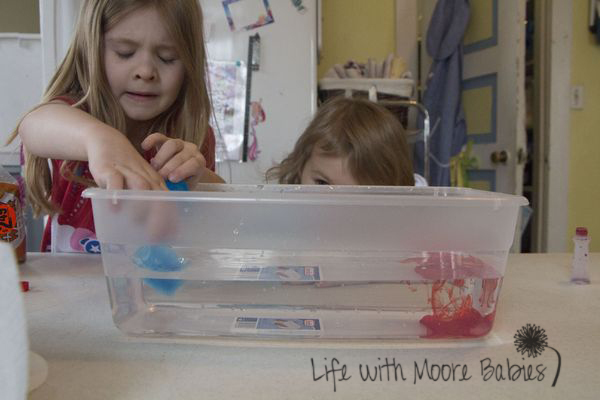 Last year when we talked about weather we made our own weather in a jar. This year we decided to talk a little more about why storms actually form. While in St Louis, we saw this fun demonstration at the Science Center that showed what happens when a thunderstorm occurs. So what does happen? What really makes a thunder storm? A cold air front runs into a warm air front forcing it up and causing unstable air. Then you get a thunderstorm. Back to the science experiment, you can't see air, so we are using colored water to represent the warm and cold air masses. 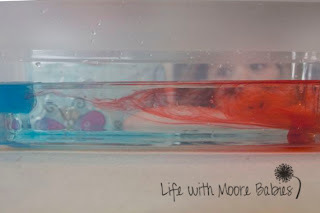 Now the kids and I tried this exactly how I remembered it with warm and cold water, and you know what we got? Purple water. So we tried hot and cold water and got... purple water. So we tried hot water and ice and got... purple water. At this point I thought our hands-on thunderstorm was not going to form at all! Finally we tried warm water and ice and got a thunderstorm! Well not exactly, but you can see the general idea of how that unstable air is formed. 1. You have to plan ahead a little, so you can make your blue ice. Not hard, just freeze some water with blue food coloring in it, but it does take a few hours to freeze. 2. Once the cubes are frozen fill a plastic shoe box half full with lukewarm water (remember the lukewarm part or you will end up with purple water). 3. Have kids add a few drops (3 or 4) of red food coloring on one side of the shoe box. Then let them add two ice cubes to the opposite side. The water soluble food coloring disperses into the surrounding water while the ice slowly melts sending very cold blue water into the container and chilling the surrounding water. 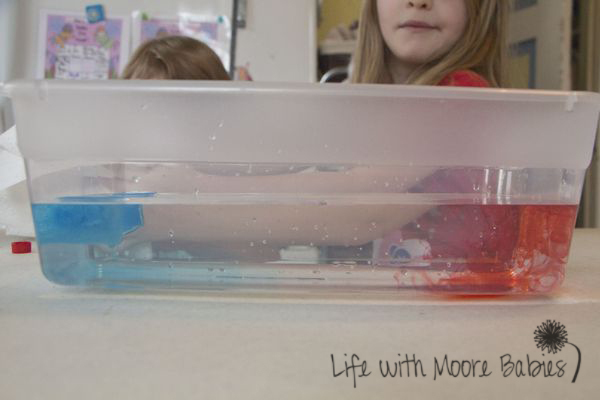 As they meet you can see the colder, blue water forcing the warmer red water up. Right at that point, where the two are meeting, and the blue is pushing the red up, is where you have your unstable air that results in a thunderstorm! As you continue to watch you will see the temperatures eventually even out giving you....purple water. It's ok this time though. Your thunderstorm is over, and you got to see how it was formed. This happens with real thunderstorms too. The rain cools the warm air mass and decreases the moisture in the atmosphere allowing the air to stabilize again. 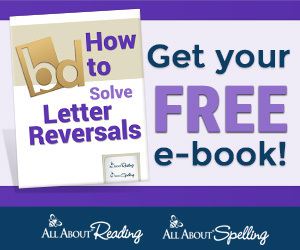 And if you want to see it again you just dump it out and start over! I know my girls and I did it 4 times, and that was after we got the right combination! 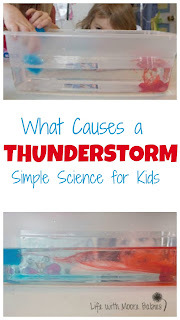 Here are some more tips for helping kids scared of thunderstorms! 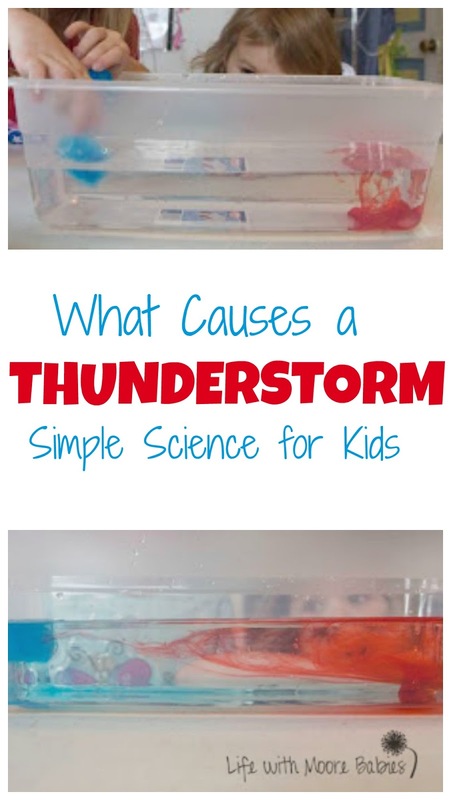 Whether you kids are frightened or amazed by storms, this science experiment is a fun, hands-on way to learn about storms! Plus you can make purple water!